Let's face it. A vehicle facelift is usually never really 'exciting' unless you have some kind of mechanical changes instead of just minor cosmetic upgrades. Thankfully, the Volkswagen Polo facelift does have something 'new' to offer. Okay, don't get carried away with the new factor because it is really under the hood that the Polo looks and feels new. 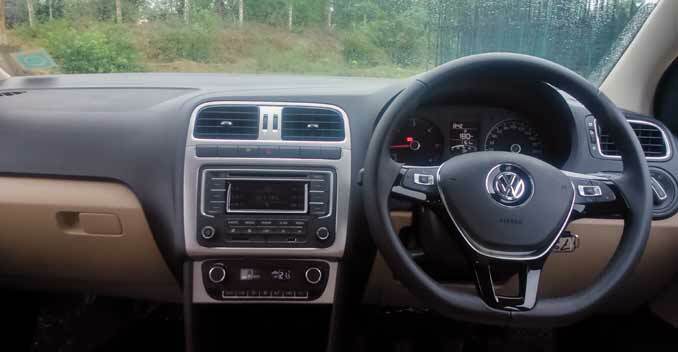 The global media also had a similar reaction when the new Polo was first unveiled at the 2014 Geneva Motor Show with a range of new or updated 3- and 4-cylinder petrol and diesel engines for the European market. But for India, the engine portfolio gets refreshed with an all-new 1.5-litre 4-cylinder turbo diesel engine, which makes it eligible for excise duty benefits. 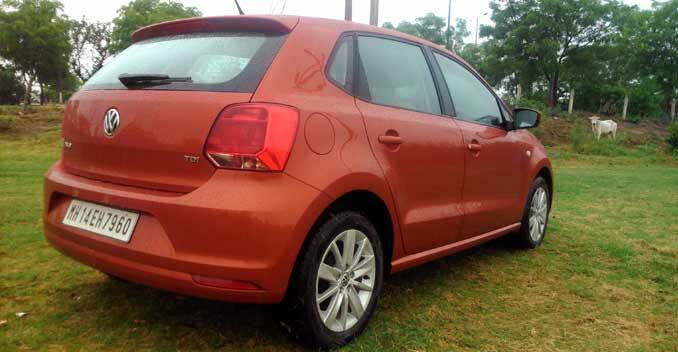 However, sadly at Rs 6.27 lakhs (ex-showroom, Delhi), the new Polo is still pricey. But hey, this is a 'new diesel' hatch in the Indian market, and I am sure customers will be lining up for it. A few minutes out on the highway, and one can feel the true characteristics of the engine. 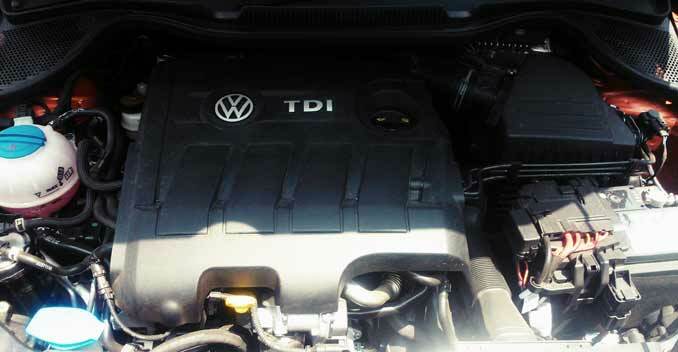 So I'm not surprised at the confidence that Volkswagen has in this new 1.5-litre diesel engine. The engine feels quite smooth with the turbo kicking in early and that too, without any major lag. It isn't the quickest off the blocks but out on the open road, the engine loves being pushed around with an equally smooth and responsive acceleration. In city traffic, the engine does not struggle much although it is a bit too loud for my liking and the clutch needs some effort too. However, with the quick gear shifts as well as decent power at low speeds, the drive is quite hassle-free. I also enjoyed the improved ride quality on the facelifted Polo, with VW tuning the suspension to be slightly more soft for Indian roads. The hatch now feels more stable to take on bad roads with more assured handling than before. Out on the open roads, the sporty steering feels more responsive and heavy, thus allowing you to steer the car easily through wide turns at high speeds. VW tops it off with solid braking that it gives you enough confidence to push the car a bit more. I happily obliged! This new engine produces 88.8bhp and 230Nm of torque, and has been tuned up for the new GT TDI. The power output goes up to 103.6bhp, while the torque goes up to 250Nm on the GT. 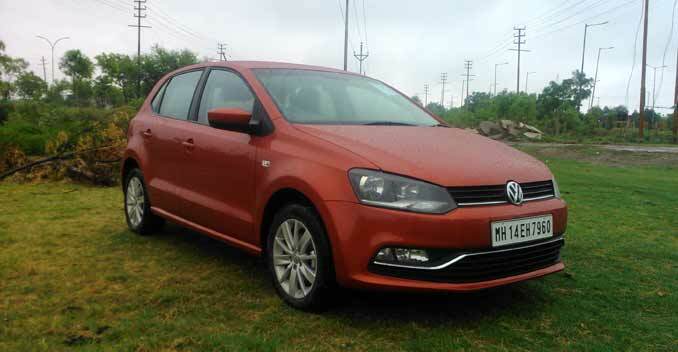 The fuel economy figures are fairly impressive with an ARAI-certified 20.14Kn/l for the Polo 1.5-litre TDI and 19.91Km/l for the Polo GT TDI. If you were wondering why I am going on and on about the all-new engine, well that's because there is nothing 'major' to report about the new Polo's styling and design. One would probably be inclined to think Volkswagen's styling department either didn't have much to contribute, or were given a rather short brief about the facelifted Polo. Now don't get me wrong, I'm not complaining. Honestly, I quite like the original look, and now that it gets a new orange shade, I am sure it will make a lot of heads turn. That said, the facelifted hatch now sports subtle changes on the front, chiefly a new grille along with a new bumper with integrated fog-lamps and a chrome strip running across it. It also gets new head-lamps, though I wish the head-lamps or at least the fog-lamps received the LED treatment, just to add to its overall appeal. Another feature that the Polo could have done with are the integrated turn indicatore on the outside rear view side mirrors (ORVMs). Other upgrades, even though minor, are the new 15-inch alloy wheels that are available only on the Highline variant, and a new rear bumper with integrated license-plate carrier and reflectors. The subtle treatment continues on the inside too; the facelift gets new fabric upholstery and a silver-finish on the centre console. But again, the cabin didn't exactly need a facelift anyway. However, what caught my fancy was the sportier steering wheel with audio controls, which, by the way, is a standard provision. The other standard feature across all trims are dual front airbags, which is quite an impressive move by the German carmaker. 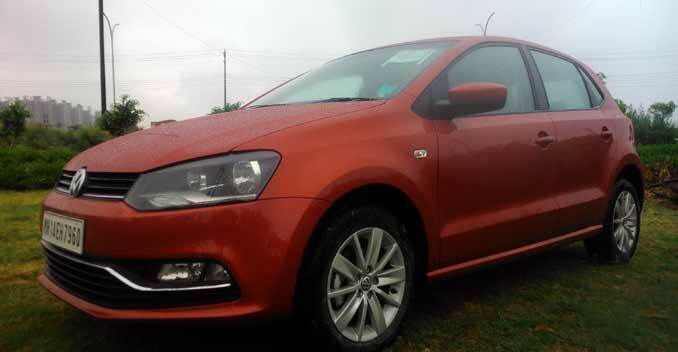 The New Polo GT TSI, Polo GT TDI and Cross Polo will be put up for sale from August-end and Volkswagen will sell existing stock of the models till then. For the latest automotive news and reviews, like us on Facebook or follow us on Twitter and Instagram.